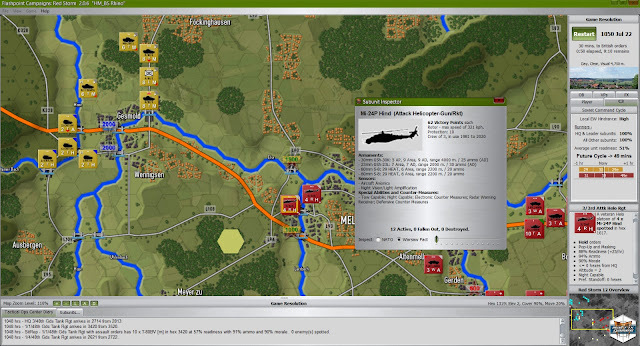 I purchased Flashpoint Campaigns: Red Storm not long after it was first released. Though I'm not normally into modern warfare, I am massively into the WEGO mechanic. For those unfamiliar with this term, I'll explain. For years, most wargames followed the IGO/UGO mechanic, mainly because [pre digital wargames] IGO/UGO was the only way to be able to play a wargame between two players. Though some games did vary it a bit with initiative and impulses, on the whole one player moved/fired etc and then the other player would do likewise, hence I GO - U GO. However, wargames on a computer opened up whole new possibilities when it came down to wargame mechanics. So, we saw wargames played out in 'realtime' where the clock kept going and players (or yourself and the AI) simultaneously made their move; games like Close Combat followed this path. 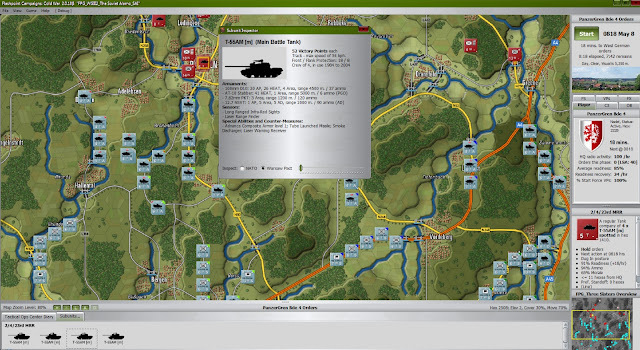 Also you still had wargames using the old IGO/UGO mechanic right up to this day. In fact, it's still the most used mechanic. Then, along came Combat Mission with its WEGO mechanic. Here you and your opponent, be it another player or the AI, plot your moves and once happy and you've both clicked for the next turn the game would then, like a movie clip, play out in front of you for 1 minute as you watch, biting your finger nails, your pixeltruppen follow your plotted moves. I fell in love with this mechanic there and then. I loved the tension it creates, plus in Combat Mission you could replay the turn as often as you like from all angles, so you'd never miss out on any action, unlike realtime games where you could miss out on all sorts as you're dealing with something across the map. So from then on, any game using the WEGO mechanic instantly gets my attention. IGO/UGO at lower scales feels a bit forced, REALTIME too fast and can end up a clickfest, where as WEGO fits the bill perfectly. This is why I purchased Flashpoint Campaigns: Red Storm. A purchase I certainly don't regret. Flashpoint Campaigns: Red Storm is set during the Nineteen Eighties and the Cold War has gone HOT! The game is kind of a sequel, but more a major upgrade of a previous game called Flashpoint Germany, a wargame published by Matrix back in 2005 (whose scenarios became Red Storms DLC. See later in the review). The game features 20+ scenarios, in which you can play as either the NATO side, whose forces consist of USA, UK and West German, or play as the WARSAW pact commander Soviet forces. Plus there are four campaigns, that's right FOUR campaigns, giving you the chance to play as one of the NATO nations or as the Soviets. In the campaign you have a 'core' force which gets carried over from one mission to the next, getting repaired and replenished between each scenario. 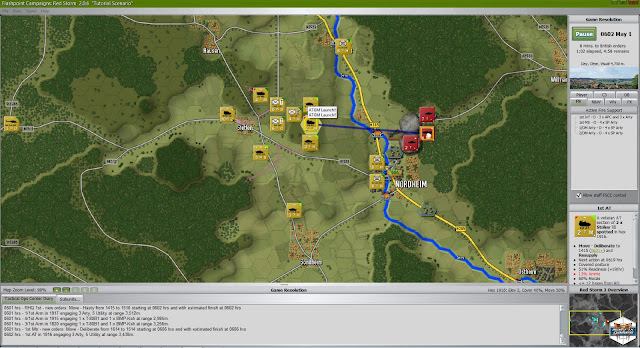 You also get 20+ maps of central Europe, mainly focused on Germany and based on real world data. As mentioned at the beginning, the turn mechanic is WEGO with a very clever twist. The turn length all depends on your nations command, control and communication ratings which can be affected by electronic warfare and casualties. This is called your command loop and a major feature of the game is to get in your enemy's command loop, which means you can react more quickly, as you get the chance to issue more orders than the enemy. NATO has the upper hand from the get go here. So, for instance, you as the NATO player have a 12 minute loop; this means twelve minutes of game time will move forward until you get the chance to issue orders again. 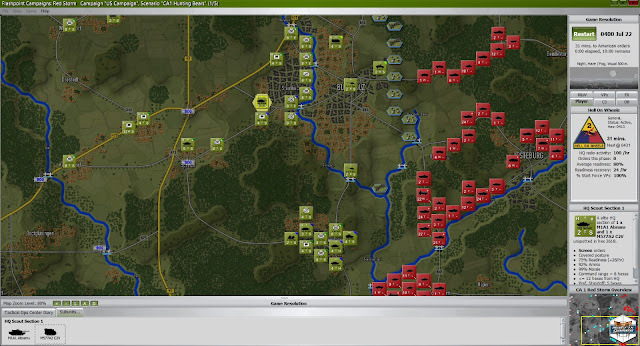 Now, at the same time, the WARSAW pact player may have a 30 minute command loop and so has to wait thirty minutes. This means the NATO player has had two opportunities to move before the WARSAW pact player gets his second chance. As I'm sure you can see, over the many hours a scenario usually plays out in, this can have a massive effect on the outcome. Nail biting stuff! The game has an extensive TOE for all sides based on their real life eighties counterparts. 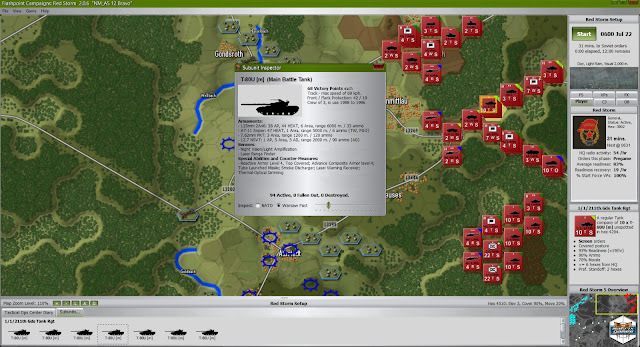 Add in dynamic weather, counter battery fire, air strikes, helicopters, mines, fortifications, obstacles, recon units, active FOW and NBC unit capability. Now why have NBC capability? I'll tell you why, not only does it have chemical weapons, there are also tactical NUKES!! That's right Nukes! Sounds like overkill..well I'll tell you this, the first time I nuked I still lost!! I found the UI to be very good indeed. The player has lots of info at his fingertips and issuing orders is straight forward. The game has lots of player options that can affect the actual game and its difficulty or let you change the colour of things, like fire lines and unit highlight box etc etc. It's all well thought out and you can see the devs have really given some thought about the UI and what different players may want and so have given you the tools to change certain things to fit your taste. In fact, going further, the game is also mod friendly and if you check the forums you'll find lots of mods and user made scenarios out there, even ones set during WW2 or the swinging sixties! 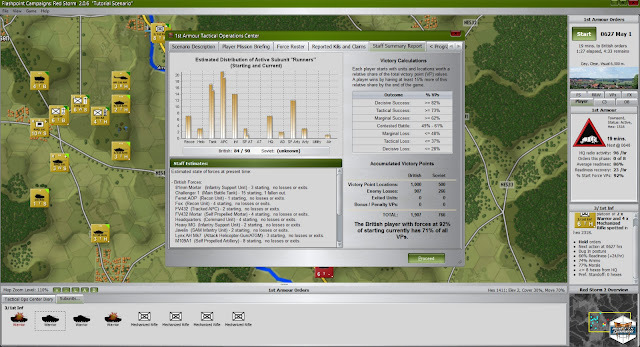 At the end of a scenario you get an AAR which breaks down how each unit performed, as well as issuing out awards to those units that stood out during the battle. I love this kind of immersion\chrome. Now I loved the game and not that long ago to coincide with the release of its DLC a huge update came out upgrading the game to 'The Players Edition'. This update improved all aspects of the game and is the version you'll purchase if you buy the game today (It's actually just had another major update which adds a host of new features for instance a new Intel Map screen). Now I do have some quibbles with the game. I've always been suspicious of how units can spot and shoot each other across city hexes, plus I find at times Infantry could be a bit more difficult to kill, though it's a lot better in this respect than many other wargames out there where infantry are just endless canon fodder. 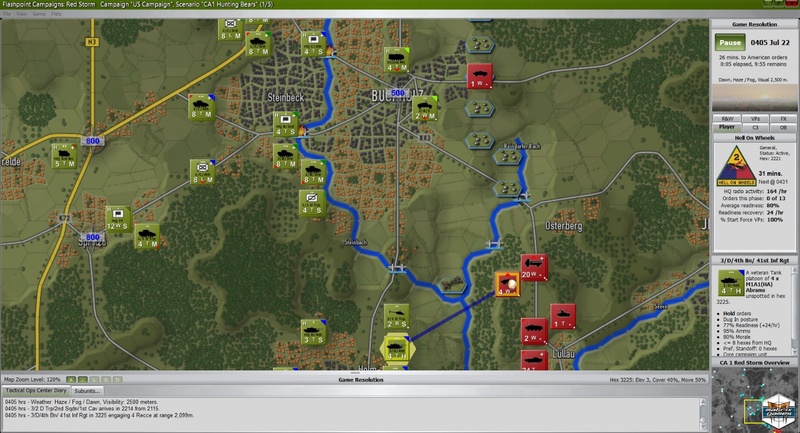 Some of the issues raised in the forums will, the developers say, be ironed out in the next game/expansion in the series, Southern Front. Southern Front will, as the title suggests, cover the fighting further south. There is also talk of a WW2 game (yes please) at some point in the future. I truly feel Flashpoint Campaigns: Red Storm will go down in wargame history as a classic of its time. I have no hesitation recommending it to all wargamers. So go read the forums and make that purchase! The expansion includes 17 new scenarios plus 43 different variations with the original Flashpoint Germany maps totally redone for Red Storm. 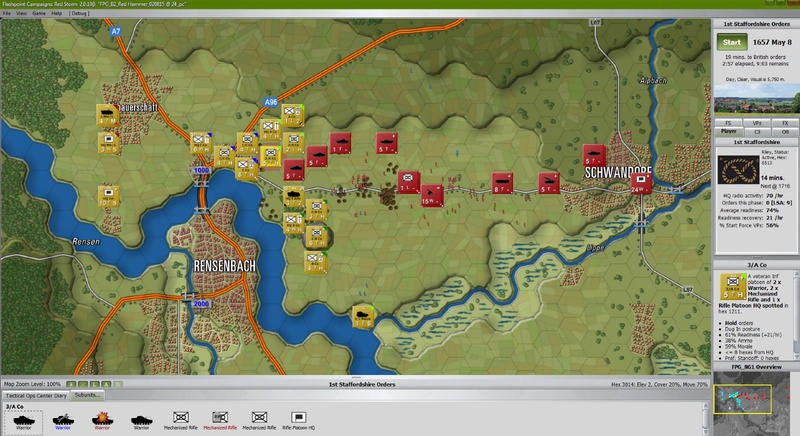 Not only do you get the four maps from Flashpoint Germany, you also get a brand new, extra large, map 'Eiterberg' - it's nearly twice as big as all other maps, so the player can create some huge battles. 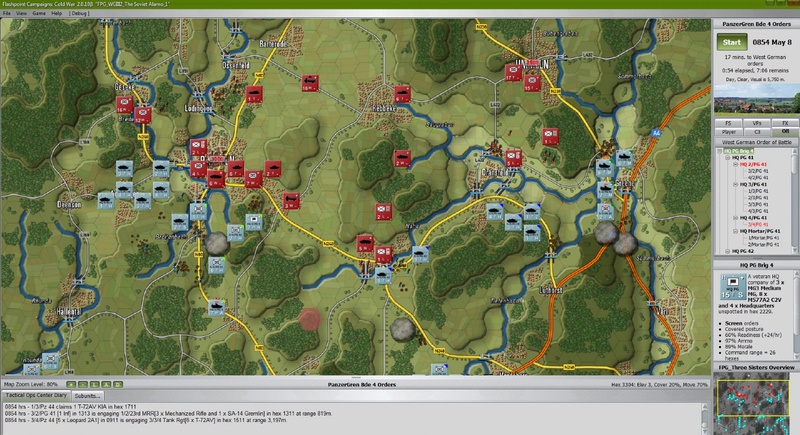 If you love Flashpoint Campaigns: Red Storm then buying the expansion Flashpoint Campaigns: Germany Reforged is a no brainer.